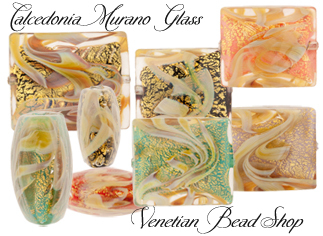 Calcedonia glass was first made in the mid 15th Century in Murano and pieces from the furnaces can be found in museums. The exact recipe was lost after the Venetian Republic fell. It owes its variations in colors to the silver oxides and other oxides and each batch produces is different, a truly tempermental glass!